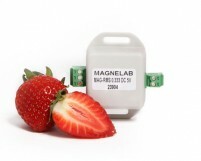 Magnelab is a global leader in current transducers. Their split core current transformer, for instance, is used in a variety of industries all over the world and is generally considered to be the most effective device of its kind. For Magnelab, the goal is to make sure any job can be completed. As a result, the catalog of product is becoming very large, but it is easy to filter based on products, types or specifications. Additionally, if a product does not seem to be available, you can contact Magnelab for advice. Magnelab also makes it possible for many of the products to be customized. For instance, people have asked for custom connector installation, longer lead lengths and unique voltage output. This is all possible in consultation. Magnalab current transducers come in different product ranges so that they can measure universal currents. You can pick adjustable devices that allow you to precisely map an up to 55A small measuring range, or one that can measure far higher currents, up to 600A, such as the HCT-0036 Hall effect split core current transducer. Doing so gives you a number of different advantages. First of all, thanks to RMS value measurement, the devices are suitable for every type of waveform. Secondly, you will be able to enjoy lossless current measurement and not have to worry about shunt. This can be achieved thanks to a Hall sensor. Furthermore, you can perfectly map the 55 A measuring range thanks to upper and lower limits that you can program using software. If there is a threshold value over- or under-range, you can also limit the value alarm up to 55 A. This can be achieved via transistor or relay output. You can also enjoy up to 600 A distributed current measurement by using more compact devices that come with a range of different mounting options. Best of all, the three way electrical isolation means that you are effectively protected against disturbances. 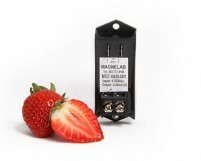 The Magnelab current transducers can be change to suit your personal requirements. They come with a standardized input signal, which is either 1 or 5 A, but you can infinitely adjust the measuring range as well. This can be achieved through software. You can map the entire range that you want to measure over the full output signal range. This way, the resolution of the measured values is extremely accurate. You can also quickly configure the devices thanks to the DIP switches, which are found on the housing. The software allows you to set other beneficial device functions. When you order your transducers, they are pre-configured to your specifications. These current transducers are universal and they are perfect for the measurement of a high current at any type of waveform, up to 600 A AC/DC. A range of Magnelab devices are available that are sorted by graded measuring ranges. They also have different voltage or current output. All are very easy to wire and connect.